Marine Fir – In Stock and Ready to Ship! Chesapeake Plywood supplies wholesale Marine Fir Plywood by a number of the greatest plywood producers. We only source in the best Marine Fir Plywood producers to make sure that we’re giving you the best caliber of wholesale Marine Fir Plywood that’s available. Marine Fir Plywood is fabricated from durable face and heart veneers, with few flaws; so it performs more in both moist and moist conditions and resists delaminating and fungal attack. Its structure is such it may be utilized in environments where it’s subjected to moisture for extended periods. Every wood veneer is going to be the very same species during (Fir, Okoume, and Meranti), and also have minimum heart gap, restricting the likelihood of trapping water from the plywood and consequently giving a strong and stable paste bond. It employs an outside Water and Boil Proof (WBP) glue. Marine Fir Plywood AB is marine-grade plywood that’s made completely of Fir veneers. The highest core-gap size allowed is 1/8 inch. Its vulnerability durability score is EXTERIOR rating along with the adhesive used is a water resistant structural adhesive. It’s thought to be a premium tier panel to be used in scenarios where these attributes are demanded. Douglas Fir Marine Plywood is a really powerful marine grade plywood. It blends well and is of a moderate weight. It’s a less expensive choice for marine plywood application. Applications for Marine Fir Plywood may be home jobs, commercial jobs, counter underlayment, in addition to closets, furniture, boat houses, wooden toys, garage & carports; shelving closets, playhouses, programs for mattress frame, overlay programs, outside signs, boat construction, docks, and much more. APA – The Engineered Wood Association for product quality. PS 1 – Meets PS 1 standards for glue and bond durability, thickness requirements, veneer grades, finished plywood tolerances, testing procedures, stamping, and identification guidelines. Okoumé Marine Fir Plywood is rated as being compliant with BS-1088, and it will be a British Standard for Marine Fir Plywood. Our Marine Okoume marine plywood includes a Lloyd’s of London postage which certifies it to be BS 1088. BS-1088 grading demands the very same species during (face, back, and center ), defect-free A Grade Face veneer without any repairs. Back veneer would be to get no more than two fixes. The two Face and Back Veneer really are a minimum of 1mm thick after sanding and center openings can’t exceed 1mm. Okoume’s apparent, beautifully figured grain has a gold, honey colored hue under cotton and varnish, although its low density offers ultra light burden for arch applications. Okoume is perfect for boat construction, soffits, the transpiration business, joinery work (exterior & interior ), cladding, interior fittings and much more. Marine Meranti is an excellent exterior grade product which has long be used in wooden boat construction. The density and grain structure of Meranti is similar to Genuine Mahogany with a nice, homogeneous feel that allows it to be milled easily and hold details really well. It is much lighter than the African exterior wood options like Sapele, Utile, and African Mahogany. Some of the applications for Marine Meranti can include boat building, soffits, transport industry, joinery work (interior & exterior), cladding, interior fittings and more. 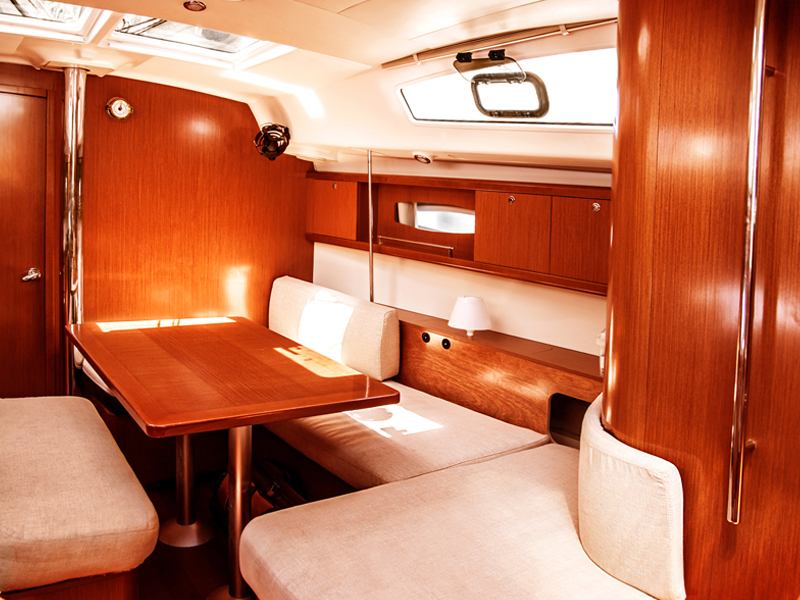 Marine Fir Plywood is used as a construction material in a marine setting, like boats or docks. Marine Fir Plywood works well in moist conditions, humidity, or anywhere it’ll be subjected to moisture. Unlike many forests, it is going to withstand the bending, warping, or delaminating that could frequently result from too much moisture. This increases the durability and structural power of Marine Plywood which makes it a fantastic selection for marine building. MarineFir Plywood may be utilized for storage shelving, cabinets, furniture, boat home, playhouses, overlay programs, outside signs, boat construction, docks and much more. Marine-grade plywood, frequently called Marine Fir Plywood, is made from durable face and heart veneers with few flaws; therefore it performs more in both moist and moist conditions and interrupts delaminating and bacterial attack. Its structure is such it may be utilized in environments where it’s subjected to moisture for extended periods. Every wood veneer will probably be out of tropical hardwoods, also will have slight heart difference, limiting the likelihood of trapping water from the plywood and consequently giving a strong and stable paste bond.